The development of new, energy-efficient products and technologies historically has focused on electric appliances and services. Gas utilities have long offered customers incentives for purchasing energy-efficient products and for making energy-saving improvements, but the range of high-efficiency options for natural gas products has been limited. Northwest gas utilities are stepping up their investment in natural gas efficiency using market transformation strategies that have proved successful for electric products and technologies. Northwest residential, commercial and industrial customers rely on multiple energy sources, including natural gas and electricity generated by hydro, gas, coal, solar, wind and other renewables. To help those customers maximize energy efficiency and holistically optimize energy resources, the region must invest in electric and gas efficiency. Tackling both can generate significant benefits for the region’s economy, environment and energy capacity in the years to come. In Oregon and Southwest Washington, local natural gas distribution company NW Natural has worked with electric providers through the nonprofit Energy Trust of Oregon, to implement publicly supported efficiency and renewable programs. Typical projects have included weatherization measures and cash incentives for products, appliances and equipment, as well as custom efficiency improvements, for residential, commercial, industrial and agricultural customers. Historically, national and regional efforts for commercializing gas efficiency technologies have lagged behind efforts for electric technologies. “There have been fewer cost-effective and commercially viable new products for gas,” said Fred Gordon, Energy Trust of Oregon’s director of planning and evaluation, and a key proponent in advancing natural gas efficiency in the Northwest. Through two decades of work with electricity providers, NEEA has developed a methodology for vetting and accelerating new technologies and service approaches. The founding members of this natural gas efficiency effort include Avista Utilities, Cascade Natural Gas, Energy Trust of Oregon, NW Natural and Puget Sound Energy. Two of the utilities are gas only, while two are electric and gas providers; two serve more rural customers and two serve urban cores; two had worked with NEEA and two had not. Together, the participating utilities and nonprofit Energy Trust serve nearly two-thirds of the total residential and commercial market covered by NEEA’s four-state footprint. All of the members agreed to participate in a pilot project. The group worked with the Gas Technology Institute (GTI) to launch a gas-fired, heat-pump water heater. “The gas-fired heat pump potentially is a game-changing technology for the industry,” said Jeff Harris, chief market transformation officer at NEEA. “It allows gas-fired equipment to operate at efficiencies that exceed the traditional 100-percent limits on straight combustion equipment by leveraging ambient sources of heat.” The technology can be applied to commercial water heating, as well as residential and commercial space-heating applications. NEEA has brought value by leveraging relationships with water heater manufacturers to accelerate product development. At the same time, it is working with national retailers and the region’s contractors to make sure that the Northwest will be ready to adopt these products when they come online. In February 2015, the new collaborative launched a five-year, $18.3-million initiative to accelerate the development and market adoption of new efficient natural gas technologies, practices and services, to create more choices for consumers. These are the innovations that will help fuel our imagination of what could be in transforming how our employees and the public see the gas utility of the future. If the gas-fired, heat-pump water heater, now in field testing, continues to perform as it has initially, it will be the first gas product to produce Energy Factor (EF) rating well above the 1.0 threshold. Current gas storage water heaters must meet code requirements of 0.67 EF. “This new technology could further cut water heating costs by up to half, address gaps in product offerings for gas customers, and also put more muscle behind testing and validation efforts,” added Meyer. Meanwhile, the needed gas-absorption technology for the water heater already was under development by Tennessee-based Stone Mountain Technologies, Inc. With the mix of players assembled, Energy Trust can put additional weight behind testing and validation to move the technology forward. At the same time, employees and trade partners gain local experience with gas absorption technologies in order to successfully promote and implement it — “if and when the product is commercially produced,” Gordon said. “If” and “when” are small words that describe a big caveat for this new gas collaborative. That’s at least part of the rationale behind identifying early wins that will produce new products and savings for gas utilities in the short term. Clothes dryers – The new ENERGY STAR specifications in development for clothes dryers will address one of the last major appliances to get an energy efficiency overhaul treatment. The new specs will include gas and electric versions. Should this new dryer technology reflect real savings over what’s currently on the market, it will provide an additional efficiency opportunity that complements promoting efficient washing machines, according to Gordon. If new standards come online for electric dryers but not for gas, this poses a missed opportunity for consumers looking to upgrade their gas appliances. Hearth products – Not all of the products that the collaborative considers will require a major technology upgrade. One of the most promising to NW Natural is the hearth products category. Many customers appreciate the aesthetic value of a natural gas fireplace, but don’t consider or realize that they can achieve 92-percent efficiency. A natural gas fireplace can provide efficient space heat for about 50 cents an hour, especially in apartments where it could provide all or most of the heat. In addition to developing new technologies and bringing them to market, the collaborative will work to increase awareness and accessibility to the high-efficiency tiers of hearth products already available to consumers. In the Northwest, state public utility commissions oversee gas investor-owned utilities, and use a variety of methods to judge the effectiveness of utility investments. These include a Utility Cost Test, which looks at costs paid for efficiency programs by utilities; and a Total Resource Cost Test, which also includes those costs paid directly by the program participants. While the intent of each is to ensure wise efficiency investments, the specifics vary from one state to the next, which may in turn make an incentive affordable under one utility’s program, but not another’s. Gordon acknowledges that state-to-state differences exist, but they haven’t been barriers to a regional approach. “All four Northwest states have consistently supported NEEA’s electric market transformation initiatives since the late 1990s, and the Northwest’s utility customers have benefitted by saving money on electricity,” he said. The strategy of implementing a small portfolio enables both NEEA and its funders to gain experience in this gas market transformation without major organizational changes. Once the model has proven effective, organizers intend to integrate gas market transformation into overall strategic planning efforts. NEEA’s model has served as an example for effective energy efficiency partnerships in other regions. Policymakers in California are studying NEEA to see how they might infuse its efforts into their regulatory and organizational landscape. There also are regional efforts in the Midwest, Southeast and New England that have benefited from the groundwork NEEA has laid. “At NW Natural, we are thrilled to partner with NEEA and the gas collaborative on new innovative technologies that will allow consumers to save even more energy with already efficient natural gas,” said Meyer. 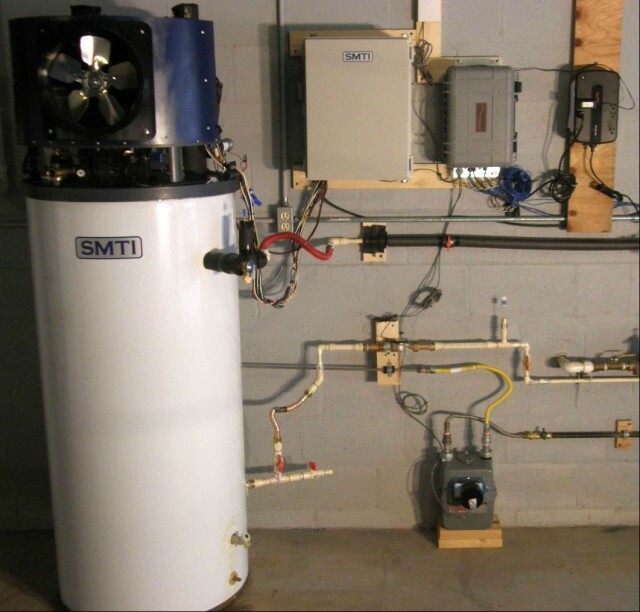 “The gas-fired, heat-pump water heater could end up drastically lowering current water heating costs. Combining the equipment with space heating will mean an even bigger splash in the market. Estimated savings of 280 million therms annually are at a weighted average Total Resource Cost (TRC) levelized at $0.28/therm. This falls below recently revised wholesale near-term market forecasts, and below the expected, long-run marginal cost of gas. Natural gas-fired heat-pump water heater, currently being market tested, could be a game changer for the industry. 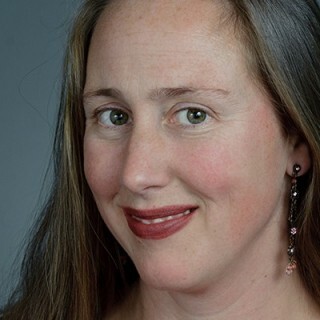 Veronica Marzilli is the corporate marketing and communications manager for NEEA. In this role, Veronica develops and manages strategic marketing and communications strategies with NEEA’s partners, as well as curating NEEA’s website and outbound communications.